A diaphragm seal is an efficient, affordable solution for those instances in which pressure instrumentation cannot be in direct contact with the process. A flexible diaphragm seal protects pressure transmitters, transducers, gauges, and switches from contact with process media, yet allows accurate pressure readings. Diaphragm seals are particularly useful in processes that involve corrosive, aggressive, and viscous media and are also widely used in high-purity applications. A damaged seal can endanger the integrity of the instrumentation and can also create problems with process purity and safety. It is sometimes difficult to detect a breached diaphragm. Therefore, it is extremely important to select the diaphragm seal that best fits the conditions of the application and avoids seal failure and its deleterious consequences. Process media can corrode the seal and lead to poor performance, leaks, and process contamination. The main cause of corrosion in a seal is choosing a diaphragm seal of the wrong material. The materials of the seal and all other wetted parts must be carefully chosen to ensure they can withstand the conditions of the application. There are many options on the market for diaphragm seals, including exotic metals, alloys, and special linings that prevent corrosion in even in the harshest environments. Bulging can occur when a diaphragm seal is not sized correctly and the fill fluid expands, causing the seal to become deformed. Bulging has been seen in high vacuum, high temperature applications when the fill fluid was not suitable for the temperature of the process, and the fluid released entrapped gas that damaged the seal. Bulging can also happen when the material of the diaphragm seal allows hydrogen atoms in high-pressure applications to migrate through it. Over time, the fill fluid becomes saturated with hydrogen and hydrogen bubbles form, making the seal bulge outward and causing cracks in the seal and leaks of fill fluid into the process. This phenomenon is called hydrogen permeation and can be prevented by gold plating the wetted surfaces of the seals. Additionally, selecting the proper size diaphragm seal, the proper fill fluid, and the proper material reduces the probability of bulging. Diaphragm seals may be physically damaged by particles or debris in the media. They may be also damaged in high pressure and purging cleaning and maintenance procedures. 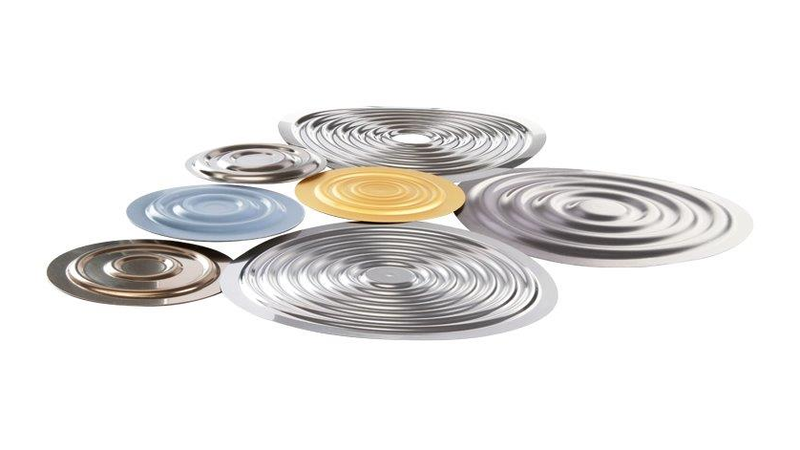 RJ Global WIKA’s CDPS (Controlled Diaphragm Protection System), a patented solution, can prevent some of this physical damage by using a second seal and a vacuum to set the seal rigidly against its bed to protect it during cleaning. To be able to accurately transmit process pressure to the measuring instrument, diaphragm seals must be very thin and, consequently, are generally fragile. Therefore, even if you carefully assess the demands of your application and select a diaphragm seal that works well under those conditions, diaphragm seals may be damaged over time and fail. In most cases, however, a damaged diaphragm seal can be repaired. RJ Global WIKA, in its ISO 9001 accredited facility, has been in the diaphragm seal market for more than 30 years. Its experts have experience repairing any brand and model of diaphragm seal assembly at a fraction of the cost of a new one. Call them for more information.